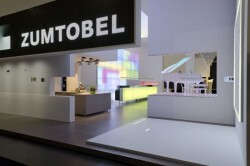 Tridonic, which is part of listed light manufacturer Zumtobel Group, will close its plant in Fürstenfeld in the province of Styria. 100 employees will lose their jobs. The announcement was made by the company on Tuesday. The plants in Dornbirn, Innsbruck and Jennersdorf are not concerned by these measures. The closing of the factory will become effective at the end of this year. The step was explained by a change in technology.